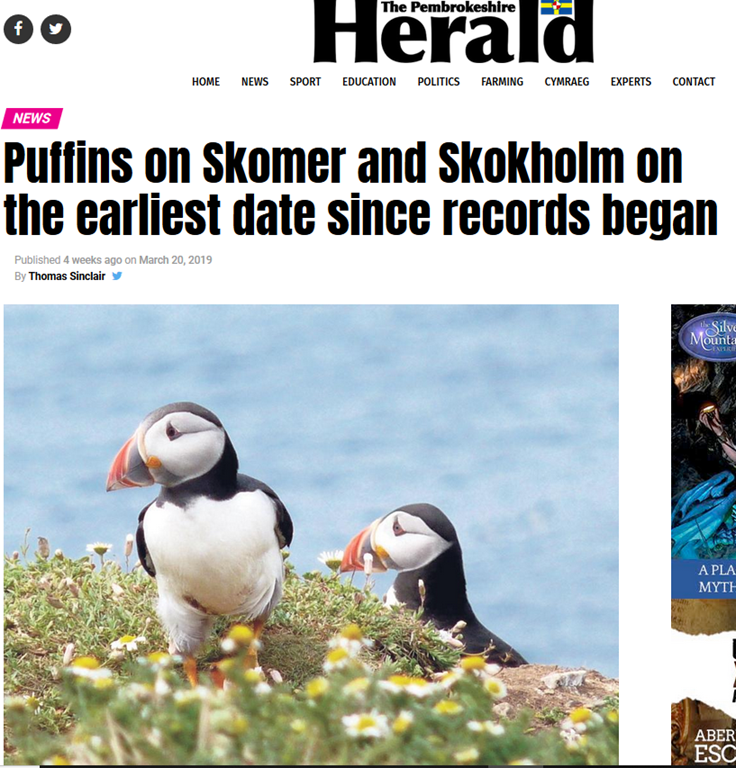 Indeed, puffin numbers have been increasing in leaps and bounds in the last decade despite global warming. 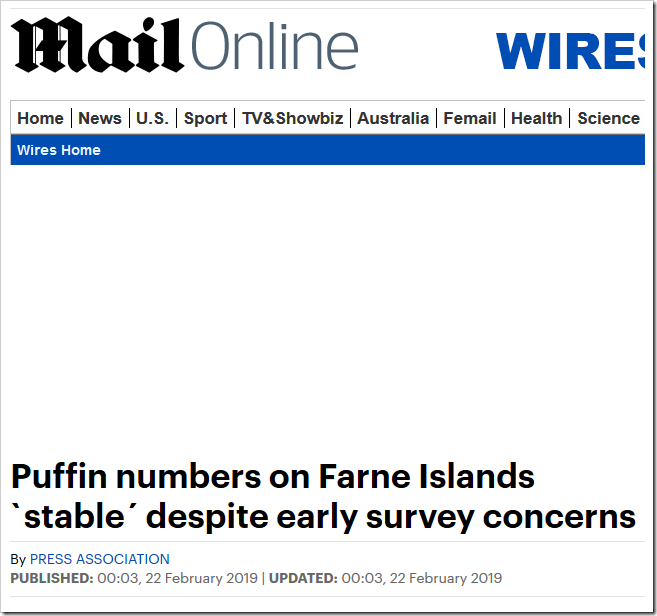 Final results from the 2018 survey, which involved checking a proportion of burrows on eight of the islands, reveal there are around 44,000 pairs, up 9% on the last count conducted in 2013. But hey, what’s 88000 puffins, when you’ve got a rebellion to lead?